KCME appoints new dealer in the Caribbean - Kobelco Construction Machinery Europe B.V.
Kobelco Construction Machinery Europe B.V. (KCME) is pleased to announce the addition of WiMat to its expanding European network. This appointment furthers the growth of Kobelco suppliers within the European Union and underlines KCME’s commitment to manufacture and supply market leading specialist earth moving machinery to accommodate the growing global demand for Kobelco quality products. WiMat is a relatively young construction and agriculture company with two active branches operating in Guadeloupe and Martinique – two islands in the eastern Caribbean Sea that part-form the overseas regions of France. 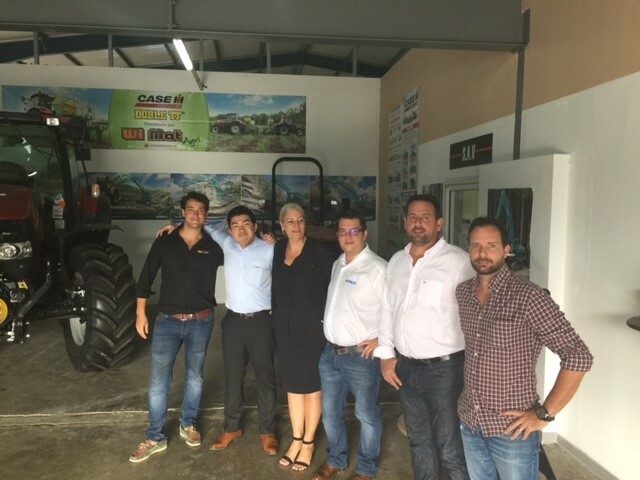 Since 2006, under the direction of founder and CEO Vianney Simonnet, WiMat has grown from a small rental business with a compactor and a tractor loader backhoe into an exceptional rental company. In 2009, WiMat became an authorised supplier of leading brand equipment to run parallel with the rental side of the business. 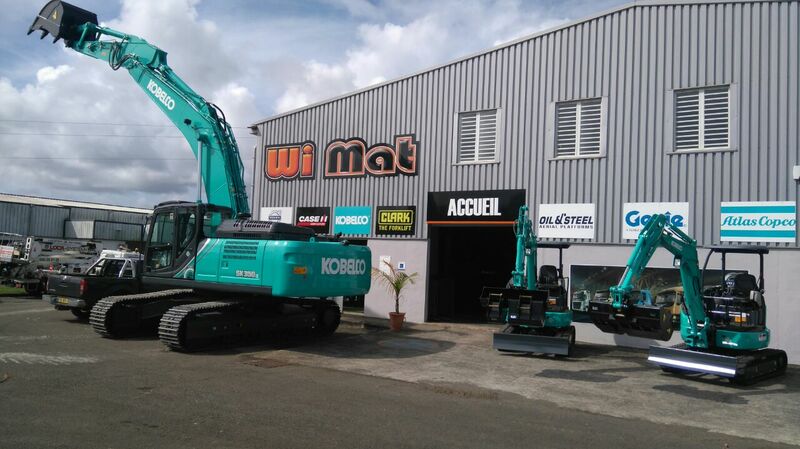 Kobelco equipment to be stocked by Wimat includes the SK28SR-6, SK55SRX-6 and SK140SRLC-5 – ideal machines for the rugged, varied terrain and increasing construction projects on the Guadeloupe and Martinique Islands. WiMat focuses heavily on providing excellent customer service via spare parts availability and aftersales service quality. Modern workshop facilities and on-site service are geared to achieve fast response and minimum downtime.